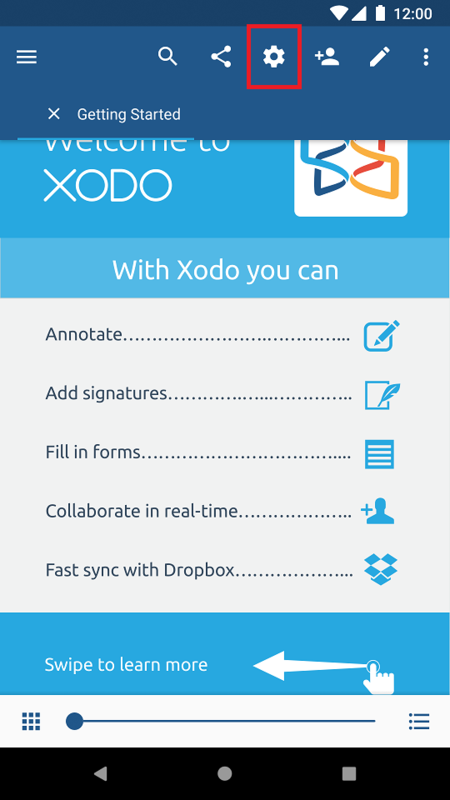 In Xodo, color tints can be applied to the reader to enhance viewing. This is called a Color Mode. 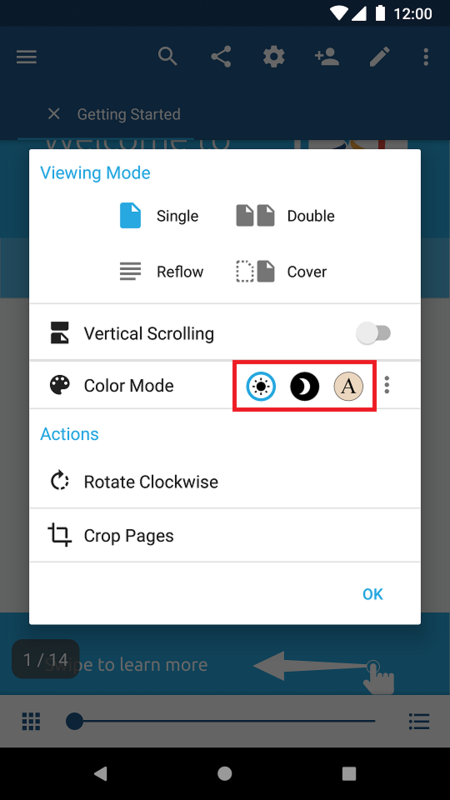 There are three main color modes in Xodo: day mode, night mode and sepia. 1. Tap on the Viewing Mode icon on the action bar. 2. In the Color Mode row, select between the day mode, night mode and sepia modes. As you select these modes, they will be automatically shown in the viewer. 3. If you wish to see more color presets or create a custom preset, select the three vertical dots on the right-hand side of the Color Mode row. 4. Select between different color modes. 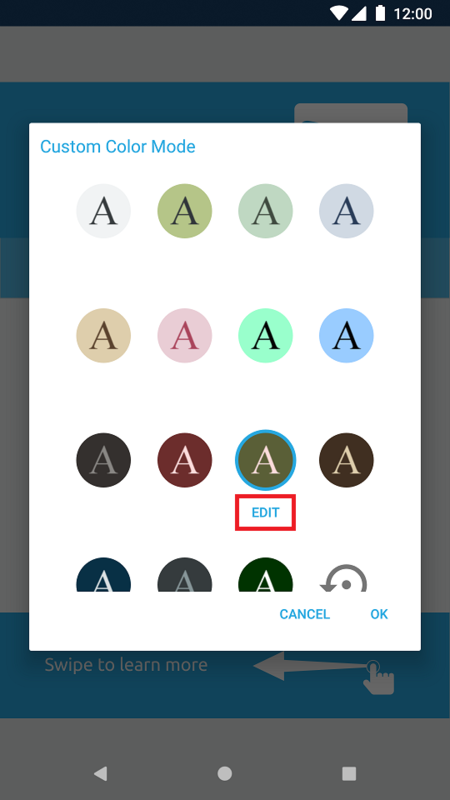 If you wish to edit one, you may tap the Edit button which appears below the selected color mode. 5. Use the color wheel and slider to select the desired colors. 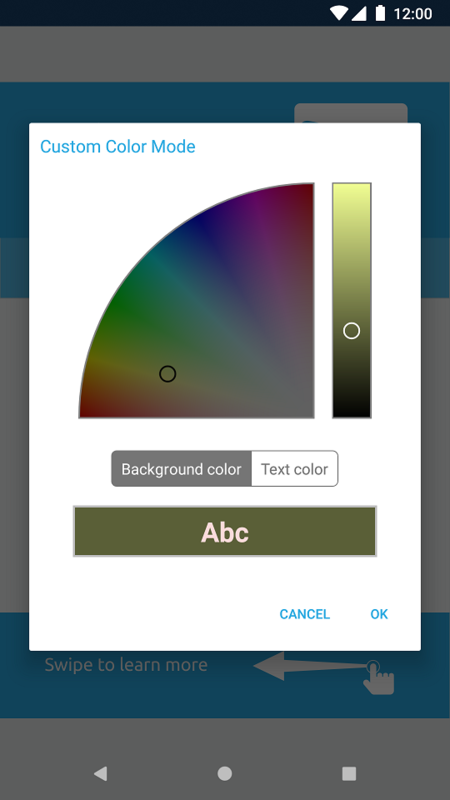 Use the Background Color and Text Color selectors to switch between the two color mode colors.